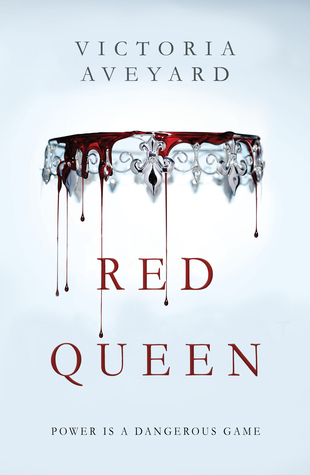 Synopsis: "This is a world divided by blood - red or silver. But this is a world of betrayal and lies, and Mare has entered a dangerous dance - Reds against Silvers, prince against prince, and Mare against her own heart.."
School season has begun and it's the worst time of year because I have probably an hour out of the week that is actually free for me and 1/100000th of the time I can actualy use that time to read so, like I said, it's the worst time of yea -_-. Ehh I hoped this book would have some slight difference to other dystopian fantasy novels but it was really just bland. Same love triangle, same protagonist problems, same "OMG I'm special and different from everybody else!!!!" storyline. My face was just plank the whole time reading it and the romance was subpar. Both Cal and Maven had no appeal to me whatsoever and Mare was just very annoying and had no personality. I may have liked this better despite the fact that I am sleep deprived and overloaded with homework, but still, it was just not a unique book at all.